Mick & Sara welcome you to the Melrose Hotel. 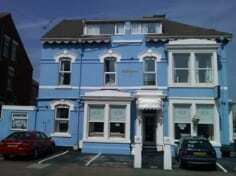 Our hotel is family run and we strive to offer a friendly and enjoyable stay in Blackpool. With different size rooms to choose from as well as access to our many excellent facilities we will make your stay a relaxing and memorable one. 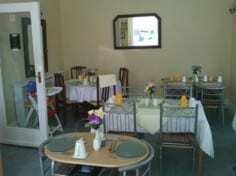 Please see our Facilities page for further details on the Rooms and Services we offer. The Melrose Hotel is situated close to the South Pier and Promenade and is ideally located for both the Town Centre and Pleasure Beach. 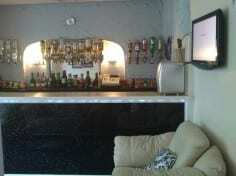 It is perfectly placed for all the night life and attractions as well as access to the South Shore Shopping Centre. We are situated 0.3 miles from Blackpool South Rail Station, it takes approximately 6 minutes to walk from the station to the hotel. A full list of all our prices and excellent discount offers are available on the Prices page. For further information please use our Contact page to send us an enquiry using either our online form, email or telephone. We look forward to hearing off you. The Melrose Hotel has 7 Rooms available. If you require any other information regarding our prices or if you would like to enquire about booking a room please send us a message using our Online Contact Form, Email or by telephone. Place Categories: Pleasure Beach, Pleasure Beach Couples, Pleasure Beach Families, South Pier, South Pier Couples and South Pier Families.